Hypothesis annotation technology is now available to publishers hosted on the PubFactory platform, which houses more than 400,000 books and 1,400 journals. Enabling this standards-based interoperable tool brings collaboration to any content hosted on the web, a capability foreseen by early technology visionaries like Vannevar Bush and Marc Andreessen. Hypothesis supports scholars throughout the research life cycle, as well as educators assigning collaboration projects to their students, and working groups across market segments and disciplines. Publishers have long sought a way to enable authors, editors, reviewers, and readers to have discussions directly on published versions of record. Integrating annotation on publishing platforms enables publishers to extend the services they provide to their users to include direct conversations and easy ways to add additional information to published content. 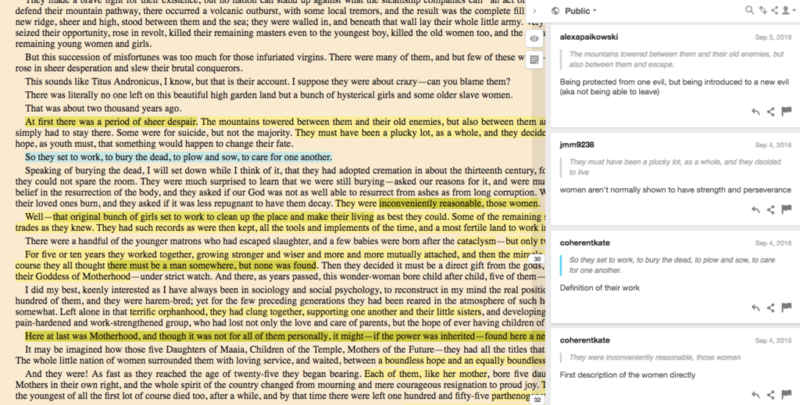 Annotation can also deliver valuable additional content, connecting published works to a wide variety of related resources in other locations. In this example from neuroscience, research resource identifiers (RRIDs) embedded in scholarly articles are surfaced after publication in annotations that link to dynamic records of other works referencing the same experimental components. This example shows annotations generated by SciBot, a robot backed up by human scholars to ensure accuracy. 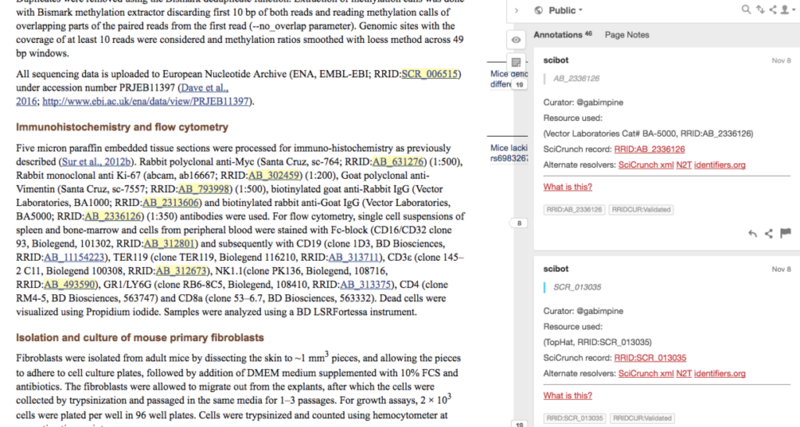 Screenshot of SciBot annotations linked to RRIDs in an example article from eLife republished in PubMed Central. 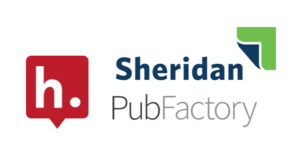 PubFactory publishers using Hypothesis will now be able to present a branded annotation layer on their platform. Using Hypothesis, publishers can decide not only who can create annotations, but also who can read and/or reply to them. In addition, annotation group administrators can moderate discussions to provide an additional level of screening. Hypothesis can also be integrated with a publisher’s existing user account system, enabling users to annotate without separate account creation or login. Open annotation has fast become a central component of the research and publication workflow. 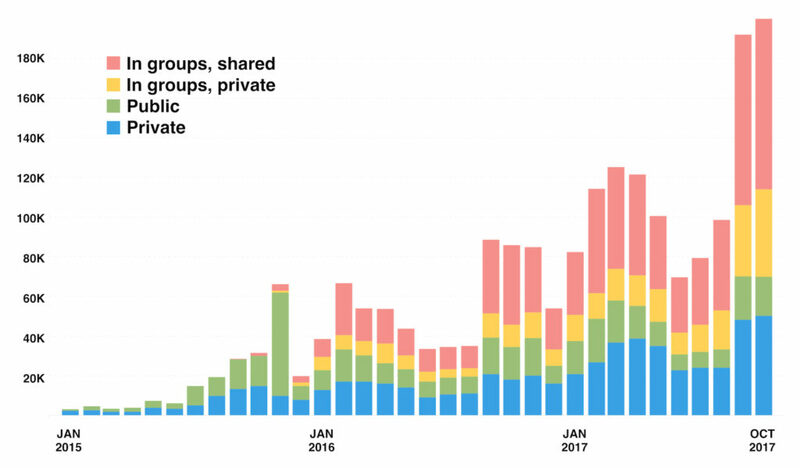 Over the past two years, Hypothesis has seen dramatic growth in the number of annotations added to published works across the web. Open annotations recorded by Hypothesis, Jan 2015 through Oct 2017. Annotation provides opportunities for engagement throughout the publication lifecycle. Researchers, scholars and publishers engage both before and after publication, while faculty and students are also annotating to center teaching and learning directly in publications and scholarly works. Student annotations on the text of Herland by Charlotte Perkins Stetson Gilman. Publishers wishing to learn more about integrating Hypothesis with PubFactory can register now for a free webinar on Wednesday, 24 Jan 2018 or contact Heather Staines at heather@hypothes.is.